Learn about ways and reasons to include youth on a board, how to recruit, sustain and engage youth and train the board to work with them. Parts of this section were adapted from “The Power of an Untapped Resource: Exploring Youth Representation on Your Board or Committee,” by Hans Bernard, published and edited by the Association of Alaska School Boards’ Initiative for Community Engagement, and the Alaska Department of Health and Social Services. What do we mean by including youth on your board or committee? Why include youth on boards, committees, and other similar bodies? When is a good time to add youth members or representatives? Who should be involved in including youth on boards and committees? How do you engage youth on boards and committees? The board of the Coalition for Youth was at a loss. After a year of planning and another of offering a variety of programs, the Coalition had reached a total of 21 teens – a tiny percentage of the overall teen population of the area, and fewer than 10% of those the Coalition expected to draw in. In a lively meeting, the director of the Teen Outreach Program pointed out that there was not a single youth on the board, nor had youth been consulted in the course of the planning process. The other board members were forced to admit that what they’d been doing hadn’t been working to attract youth to programs that were meant to decrease youth violence, encourage teens to stay in school, and help them to develop and work toward higher goals for themselves. Given few alternatives, board members agreed to explore inviting youth onto the board. But which youth? And what would they do on the board once they joined? Whether out of necessity, like the Coalition, or whether for reasons of philosophy, logic, and/or simple fairness, many boards, commissions, and committees choose to include youth among their membership. This section will help you explore that possibility, looking at what it means, what it entails, and how to make it happen. Including youth on boards, commissions, or committees means recruiting young people – almost always teens – to serve as members or representatives on those bodies. The youth are often, though not always, drawn either from the population served by the board’s parent organization, agency, institution, or initiative, or from the community on which it focuses. You might want to include them in order to gain a different perspective on the issues you’re concerned with, to provide a voice for youth on your board in order to gain more youth buy-in for your programs or goals, to demonstrate your commitment to youth leadership and your belief in young people’s ability to accept and discharge responsibility, or simply because you believe all sectors of the community should be represented on the board of an entity such as yours. For the purposes of this section and this topic, the “youth” we refer to are 13-18-year-olds. In most cases, it’s wise to consider young people between 15 and 18 for board membership, since younger teens usually don’t yet have the level of maturity or the experience to handle the situation. There are exceptions to this rule – one is used as an example later in the section – but, in general, it makes a good deal of sense both for the board and for the adolescent in question, who can find himself in a difficult spot if he’s handed a responsibility he’s not ready for. That’s the general explanation.There are also some specifics that will help in thinking about the material in the rest of the section. A non-profit board, or Board of Directors, is the formal governing body of almost all incorporated (and some unincorporated) non-profit organizations, initiatives, or institutions, and many public bodies as well. Boards have specific responsibilities for the mission, finances, and governing of the organization. These are laid out in the organization’s bylaws and, in some cases, specified by law. The Board usually makes decisions about or oversees hiring and firing the Director, the directions the organization might move in, how to respond to crises and other unusual situations, finances, and legal and other matters that concern the organization as a whole. 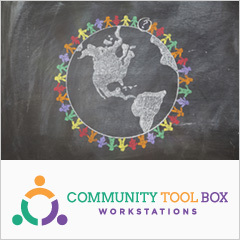 Most boards of community-based organizations and educational and charitable institutions also help to raise money, and to represent the organization in the community. An organization or initiative may have a somewhat less formal governing body, often called a steering committee. Steering committees function similarly to boards, but may be open to anyone who wants to join, or – depending on the structure of the organization – may not have the kinds of legal responsibilities that a board does. A commission is generally a government body that has charge of a particular area of functioning. Many communities have a Parks Commission, for example, that oversees the establishment, location, design, use, and upkeep of public parks. Commissions are usually appointed by a public official (a mayor, for instance), but are sometimes elected. A commission may also be the name given to a group appointed, almost always by a government official or body, to study and report on an event or issue. U.S. presidents regularly appoint commissions to examine such areas as poverty, response to natural and man-made disasters, civil rights, and other pressing matters. These commissions may include members from all political points of view, and mirror, at least somewhat, the racial, ethnic, cultural, gender, and geographic diversity of the country. A committee is usually a part of a larger organization or initiative, and is formed to deal with a specific issue or area of functioning. A board or commission is likely to have a number of committees dealing with specific issues, as well as finances, personnel matters, public relations, and other general concerns of the parent body. In some cases, freestanding groups are also called committees. These are generally groups formed to address or oppose a particular issue, and sometimes are similar to boards and commissions. Task forces and similar bodies are halfway between: they usually are part of larger groups (although not always), and they generally are formed to address particular issues. In order to make this section easier to read, we’ll refer from here on just to boards, except in cases where the items we’re discussing play out differently for boards, commissions, and committees. Otherwise, “board” really refers to all three types of bodies. There are at least three ways in which youth might be included on boards. What is best for your organization or body will depend on the laws it must follow, its purposes for including youth, and a number of other factors we’ll touch on in the course of the section. Young people are recruited to join the board, fulfill the same general functions, vote on the same issues, and bear the same responsibilities as adult board members. They may be expected to help the board understand issues from a youth viewpoint (just as business people might be expected to help the board understand issues from a business viewpoint), but they’re treated as equals and full board members in every way. They can be elected to board offices, chair committees, and vote on any issue that comes up that doesn’t represent a conflict of interest, just as any other board member can. Before you invite youth to join your board as full members, make sure there’s nothing in your bylaws that keeps you from appointing them. If the bylaws include no age restrictions, then you can nominate and elect young people to your board. If the bylaws state an age restriction, you’ll have to change them (by a vote of the board, in most cases) before you can seat teen members. There may also be a legal problem here. For full membership on many elective boards and commissions – most local school boards, for example – members must, by law, be of voting age. This requirement may also apply to membership on boards and commissions that oversee government bodies or operations. In such a case, youth could not be incorporated into a board as full members. Laws vary from locality to locality, from state to state, and from country to country, so you may have to check to find out what’s possible for your board. In Anchorage, Alaska, a 14-year-old sits as a full member on the Parks and Recreation Commission. Appointed by the mayor as a result of an impressive public presentation she made, she has been accepted and mentored by the rest of the Commission, and is treated as an equal. She takes her responsibility seriously, and makes sure that she reads and understands all the materials that relate to meetings and decisions, and stays up to date on issues that the Commission must address. It takes both equal treatment on the part of board members and equal work and effort on the part of the young member for a youth to be a full member of a board. Depending upon what your board deals with, or upon how ready most current adult board members are to welcome youth to the board, you might limit youth membership in some ways. They might not, for instance, be considered for board offices or committee chairmanships, or they might not be allowed to vote on certain issues. Non-voting board membership. This is often referred to as “youth representation,” or something similar. Youth act as board members in most ways, but they can’t vote or be officers or committee chairs. They can discuss issues, make recommendations, propose actions, etc. They sit with the rest of the board at meetings, and are treated as equals except in the matter of voting. Advisory board membership. Youth sit on an advisory board, but are not included as members of the governing board. Limited participation. Youth might be allowed to participate only in certain discussions, or only when asked. In some cases, they might not sit with the board. Observer role. In this role, youths would be non-participants, and would be present only as a check on the accountability of the board, to protect youth interests, and to carry news of board proceedings and decisions back to their constituency. Similarly, you can include youth in commissions appointed to study or address a particular issue over a limited time period. In these situations, the choices for involving youth are essentially the same as for board membership. Youth may be granted full membership, including voting power and the potential to be elected or appointed to positions of authority (chair, vice-chair, etc.) They may be granted limited membership, or employed in an advisory role or as observers. In the case of a commission, they may take part in research and be listed as authors on a final report or participate in developing and delivering recommendations, or they may have very little or no say in what the commission ultimately presents. Real inclusion is just that. If there are legal or other restrictions that the board has no control over, that can’t be helped. Youth can nonetheless be given the broadest role possible under the circumstances. In general, if you decide that you want and need youth participation in your effort, limiting it more than necessary generally will gain you little, and may cost you much. Limiting participation can lead – usually accurately – to charges of tokenism. That means using a youth member simply as a symbol of how broad-minded your board and its parent body are, without actually giving youth in general any say in what goes on. That’s disrespectful not only of the youth member, but of the young people she represents, and devalues their opinions and abilities. It deprives the board of the energy and new ideas that youth can bring to it, and makes it look hypocritical or – worse – contemptuous or afraid of the ideas that youth members might express. It would be better not to invite youth to participate at all than to insult them with condescension. Your board should discuss the issue of youth membership earnestly, and commit to welcoming youth to the board or committee to the extent possible before you decide to invite youth members to join. Only then will you and they both get the full benefit of their participation. If your organization, institution, or initiative is attempting to attract and/or serve youth in the community, the last thing you want is to be viewed as yet another bunch of hypocritical, clueless adults who try to gain youth support through insincere and self-serving actions. Young people are even more alert than most adults to being slighted or conned. If you’re trying to pretend you take them seriously without actually doing so, they’ll know it immediately, and you won’t find them receptive. It sounds like it might take some work with your board to get it to the point where it will accept youth members. Why make the effort? There are a large number of good reasons, both philosophical and practical, but there are challenges as well. Your board can gain insight into the youth perspective on issues and on its actions. No one person can speak for all those he represents, and one or two young board members can’t claim to know what every teen in the community thinks and feels about something. They can give their own perspective, however, and relay the feelings of those of their peers they’ve spoken to. They’re far more likely to have a window on the general attitudes of community teens than most adult board members are, and their information can help the board in making important strategic decisions about issues that affect youth or about involving them. Youth can bring new and creative ideas. Youth can inject new life into your board. Young people are idealistic and energetic, and their freshness can bring passion and direction to a board that’s gone stale, or that has ceased to be (or never has been) excited or innovative. Board membership can make youth more conscious of and knowledgeable about community issues and the larger factors that affect their – and others’ – lives. By including youth on your board you’re helping to build community capacity for the future. Youth board membership makes your group more inclusive and participatory. Having a mix of ages, genders, backgrounds, etc. that reflects the whole community often leads to better decisions, grounded more strongly in reality, than does having a less diverse group making decisions that have consequences for the whole community. If youth know that they’re honestly represented and that their concerns are considered, they’re much more apt to buy into and support your decisions than if decisions are made for them without their input. By including youth on your board, you’re making a statement to the community about their importance and about their ability to contribute. Particularly if you’re an organization that serves youth and/or addresses youth issues, it’s important to let the community know that you believe in young people. By inviting them to join your board and giving them responsibility, you’re demonstrating your integrity, and showing that you’re not just paying lip service to the idea of youth capacity. As a result of their interactions with youth board members, adults on the board may develop more positive attitudes toward young people. Seeing teens performing well when they’re given responsibility will make these board members, who may have been skeptical initially, stronger advocates for youth in the community. Dave, a local Lions Club officer engaged in helping to set up a summer fair and carnival at the high school, looked down the street and saw a group of youth approaching in full Goth regalia – piercings, all-black clothes, leather dog collars, spiked and dyed hair. His reaction was “Here comes trouble,” but they paid for their admission, and there was no reasonable excuse for keeping them out. You can increase the credibility of your group, both among youth and in the community in general, by acting on your principles. If you’re a grassroots organization or initiative, having a diverse board that includes youth membership is likely to be consistent with your philosophy. That kind of consistency is extremely important, especially if inclusiveness or youth empowerment are among your goals. You’re encouraging youth leadership and developing the next generation of community leaders. It’s clear that there can be great benefits to inviting young people to join your board. As with many benefits, however, there may be accompanying challenges as well. Most can be overcome, but it’s important for a board to understand what it might need to deal with in the interests of gaining a youth voice. Youth may need help with meeting skills. As with some adult board members, youth may not have experience with meeting etiquette, rules of order, how to follow the flow of discussion, etc. They may need time, training, and perhaps mentors to bring them up to speed. Most youth simply don’t have the background of knowledge and experience that most adult board members do. This can work as both an advantage and a disadvantage. On the minus side, they may come in with biases or assumptions that are not based on fact (this can also be true of adult board members, but it’s somewhat more likely with adolescents), and may not start with the educational background and knowledge to understand some discussions that adult board members take for granted. Young people may be hesitant about speaking out. Sometimes youth may need lots of encouragement before they’re comfortable enough to speak up and feel that their opinions are valued when they do. Adolescents – even those that are generally quite mature – can be impulsive. They may express their emotion, disagreement, or anger in ways that most adults wouldn’t in a board setting. Adult board members may need to be patient and understanding of the needs of youth members, and youth members may have to learn both to understand when their actions are inappropriate, and to control their impulses. Incorporating youth members takes time. Board meetings may be less efficient and take longer until the youth members learn the meeting skills and gain the background of knowledge and judgment that will make them true peers. With some, that will not take long at all – perhaps a meeting or two. Others may take longer, and adult board members may have to be patient. Adult board members may have to change their assumptions about what youth are capable of. That can take time, and may lead to conflict along the way. It may be hard for some adult board members to take youth members seriously, and that can delay or derail those youth members being able to contribute to the extent that they’re able. On the other hand, if those attitudes change, those adults could become advocates for youth abilities in the community, and pave the way for youth taking responsibility in other circumstances as well. While youths may be better advocates for the organization or initiative with other youth, they may have less credibility in the community with adults. None of these drawbacks are fatal, not all (or any) will necessarily apply to any given board, and resolving them can lead to positive outcomes above and beyond the advantages that youth board members bring. As in so many Tool Box sections, the first answer to the “When...?” question is any time the need or desire arises. That’s usually not much help, however, and there are, in fact, a number of times when it’s particularly appropriate or necessary to add youth members to your board. This is especially true – but not limited to – organizations and initiatives that addresses youth and youth issues. This will show your intent to take youth seriously, whether your effort is directly aimed at them or not, and will make it much easier over the long term to mobilize their energy and support. By including them from the beginning, you can also help young board members better understand your group’s overall strategy and tactics, and keep them focused on the long term. Youth, in their passion, often make political errors by wanting to speak truth to power too loudly and in ways that are guaranteed to cause resistance rather than the possibility of collaboration. If they’re part of a larger planning effort, they’re more likely to understand the reasons for being somewhat less confrontational. On the other hand, if confrontation is the appropriate stance, having youth on your side can be a huge plus. When youth are not responding well to a program or initiative aimed at them. They may see it as an effort by adults to make decisions for them, or to force them into molds or modes of behavior that they don’t like. If they’re made part of the process, they’re more likely to take the program seriously and support it. It’s always better to engage youth from the start of any effort; but if that’s not possible, involve them sooner, rather than later or not at all! When youth board members are a condition of funding. If this is the case, it’s important to integrate them fully, and not recruit them just to fill a chair to satisfy the funder’s expectations. When you need the youth perspective. You may realize that you’re missing important information or understanding about the youth population your organization or initiative is aiming at. Including teens on your board may be one way to fill that knowledge vacuum. When you want to demonstrate – to youth, to the community, and/or to your board – that you believe in the abilities of youth to take responsibility if they’re given the opportunity. One of the best ways to demonstrate that your commitment to this principle is sincere is to invite youth to help govern your organization, institution, or initiative. When you want to empower a youth constituency. If a goal of your work is helping youth find and use their voice to influence the community and create positive change, you have to be consistent about giving them opportunities to do that in every sphere available. Not only including them on your board, but also encouraging their ideas and initiative are ways you can both show that you’re serious about involving them and give them a chance to learn and rehearse the kinds of roles you hope they’ll play in the larger community. When you want to prepare youth to take community leadership positions. Young board members learn both the meeting skills referred to earlier and the strategic thinking and planning ability needed to take and effectively discharge leadership positions in the community, both in the near term and over the rest of their lives. When members of the board request it. Board members may, whether for philosophical or practical reasons, or both, see a need to incorporate youth voices. It’s important to make sure that their vision extends to truly integrating young board members, involving them in decision- and policy-making, governance, and all the other activities of the board. Otherwise, youth membership will be mere window-dressing. There are really two questions here. The first is “What kinds of organizations, institutions, and initiatives might include youth on their boards?” The second is “Whom should you recruit as youth board members?” We’ll look at each of these in turn. Some boards may take it as obvious that the teens who should be sought are those who do well in school, demonstrate their maturity in a number of ways, are active in the community, etc., and that’s often true. On many boards, these are exactly the youth that are needed, and that will prove the board’s wisdom in drafting them. Those who are already active in sports, scouting, church groups, etc. This generally encompasses the “good” kids we just described, the ones that everyone likes and that will probably develop into well-adjusted, well-liked, financially and personally successful adults. Youth with first-hand knowledge of the issues and population you’re concerned with. Youth with direct or close secondhand (through relatives or close friends) experience of the issue the organization deals with or with street life in general. Youth who want to be involved, and/or who volunteer. These kids often make wonderful board members because of their strong interest, but be careful to ensure that they’re not already over-committed. Youth with real leadership potential. This category may include many of the active youth described above. But it also includes many (although by no means all) of the troublemakers who are respected by their peers for their ability to stand up for themselves and their beliefs, to argue with teachers and other authority figures, and to resist conforming. Some of these teens may end up wearing suits and sitting in corporate or law offices, but others may become the poets, artists, and trailblazing scientists who will lead the world in new directions. Don’t ignore them because a lot of adults find them difficult. If you can channel their energy and give them something to care about, they might amaze you. So...you’re convinced that inviting one or more young people to join your board might be a good idea. Now what? How do you go about making it happen? What follows is a set of suggested guidelines. It may not be the best for every situation, but –as with anything in the Community Tool Box – you’re invited to adapt and adjust it to fit your needs. It should give you a fair start on inviting young people to join your board and making their membership successful for all concerned. Not all boards can benefit by having youth membership, nor can all boards offer any benefit to young board members. We discussed earlier many of the reasons why you might want youth on your board. 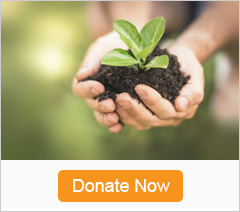 Membership on your board requires specialized knowledge or a particular capacity (e.g., access to major donors) that youth aren’t likely to have. The majority of the board is firmly opposed to the idea. It may be something you can do later, but it’s probably not a good idea right now. The great bulk of the board’s business is technical, essentially boring, and a youth member would add or receive little except her presence. The only reason you want a youth presence is to say you have it. If the teen member is only a symbol, you’re indulging in tokenism, which, as we’ve explained, is bad for both the young member and for the board. Be sure that it makes sense both for you and for any teens you might recruit as members for them to join your board. If it doesn’t, no one will gain anything from the experience, and it may cause serious problems. In other words, why do you want to bring them onto the board? There are probably several reasons, and no two or more of the following possibilities are mutually exclusive. To train as future community leaders. That means finding out how boards and organizations work, and learning the meeting, facilitation, listening, diplomatic, and other skills necessary to be engaged and active in the community, and to take on leadership when appropriate. Every board member should know what his role is. It should be something he’s willing and able to do well, and should reflect his talents, capacities, and preferences as much as possible. Whatever the role, it should be – for youth as well as adult members – in addition to decision-making and other regular board functions. Readiness is not only a matter of attitude, but also of flexibility. You might want to ask yourself and the board some questions. What’s the attitude of board members toward youth? Do they see young people as capable of fulfilling responsibilities in general, and of taking on board tasks and responsibilities in particular? Can they treat youth as peers without condescension? Is the board willing to spend the time it will take to get youth members up to speed? Can they be patient as the teens learn how to function on a board, and will they supply information and support to make the process easier? Are they willing to sacrifice some meeting efficiency in the service of letting young members get comfortable and make mistakes? Will board members be comfortable with meeting youth needs – having food and drink at meetings (something the Tool Box already recommends for almost all meetings of any kind), helping to provide transportation, adjusting meeting times to accommodate school and activity schedules? There are some things you can do to make the transition easier for everyone. Discuss what’s going to happen, looking at any possibilities you can come up with. Be clear and honest about any adjustments board members may need to make, and about what they can expect to gain in return. The more information people have, and the fewer surprises they’re confronted with, the more comfortable the change will be. At the same time, work out ways to keep changes to a minimum, so the board’s routine will be disrupted as little as possible. Make any bylaw changes necessary to include youth members – age requirements, number of board members, etc. If you don’t already know, find out whether there are any legal restrictions on including youth as full board members, and decide how you’ll handle membership if there are. Discuss how you will evaluate the experience to assure it’s working and meaningful for the board, organization and youth themselves. Decide how many youth you want to recruit. It’s often a good idea to make sure that there’s more than one, so that a single teen member doesn’t feel isolated. That could make it harder to integrate youth members into the board, but if other members make the effort to approach and include them, that shouldn’t be a huge obstacle. Find prospective board members. In many ways, this is no different from finding and recruiting adult board members. Ask current board members for names of teens they know who might be good candidates. Make presentations and send notices to students and faculty at schools, youth groups, human service organizations, and others with contact with area youth. Talk to youth who are already active in the community, or involved as leaders in youth activities. Perhaps one of the most important characteristics to look for in any new board member, youth or not, is whether she fits in well with the rest of the board. It’s much easier to get work done when everyone gets along and shares at least some elements of a world view. If you’re all in unspoken agreement about the use of humor, the amount of work that needs to be done and your willingness to do it, the way you relate to other people, etc., it’s likely the board will be a good experience both for you and the new member. As we’ve already mentioned, be careful not to look only at the “good kids.” What may at first seem an unlikely candidate may turn out to be someone who thinks extremely well, who’s serious about the issue, and who has simply been waiting for the right challenge to get him moving forward. The rewards of finding a youth like that are great, both for him and for the board. Contact potential youth board members personally. This might be done by the Nominating Committee, by the Chair, or by a board member who has contact with the youth in question. As with any potential board members, limit the number of teens you decide to contact. If there are two places on the board, it makes sense to narrow the field to five or six before you actually start inviting people to become candidates. That avoids spending a huge amount of time in meetings, and eliminates disappointment for all but a small number of possible board members. Meet with the potential board member (and with her parents, if that’s appropriate; an option is to meet with them separately.) Explain the organization or initiative and the board, including what the time commitment might be; answer her questions; and discuss whether she’d like to be considered for membership, if that’s appropriate. If it seems obvious that the youth and your board aren’t a good fit, now is probably the time to discuss it. The teen may not have the time, or may have little interest in the issues the board is concerned with. If that’s the case, it’s a waste of time for both her and you to pursue membership further. Make your choices from among the available candidates. Use the same procedure you use to choose other board members. For many boards, that involves a nominating committee finding and interviewing candidates, and making recommendations which are then voted on by the full board. Whatever process you use, it might make sense to invite prospective members to attend meetings before choices are made, so that everyone can meet them and determine whether they and the board are a good fit. In order to bring them into line with other board members’ terms of service, and to facilitate training (as well as to avoid singling them out), youth members should probably be recruited for and join the board on the same schedule as other board members. Different boards have, of course, different ways of choosing members. Alaska ICE suggests that a board might ask youth to apply, but that seems inappropriate if they’re being invited to be full board members, unless all potential members must apply. It might make sense, however, if the teens are applying to be the youth representative on a school committee or similar body. You’ll have to make that kind of decision based on your own situation. If prospective youth board members are meant to represent a specific constituency or population, candidates (or actual board members) might be chosen by their peers. This could be particularly important if the population in question is a hard-to-reach one: gang members, kids at risk of dropping out of school, members of a minority that’s discriminated against (e.g., Untouchables in India), or kids with a language barrier. The board could either accept those chosen by their peers as members, or, using the board’s regular process, select from among those chosen as candidates. New youth board members should obviously receive whatever training any new board member gets. In addition, there are some areas that other board members may not need that youth members can benefit from. Meeting skills. Listening skills, when it’s appropriate to speak, board rules (Robert’s Rules of Order, for example, which many boards use), how votes work, homework, etc. For some youth, a big part of this type of training may simply be encouragement to speak when they have something to say. Some young people – by no means all – may feel that they simply haven’t the means to contribute, and may be intimidated by what they perceive as the amount of knowledge and expertise residing in the adults around them. As they offer opinions and are listened to seriously, they’ll realize that their ideas are worthwhile, but they have to offer those opinions for that to happen. Handling and using disagreement and conflict. Board culture – dress, how meetings flow, whether and how board members socialize with one another, both on and outside the board. Any necessary information about the issue, politics, etc. that they might not have, including previous issues the board has dealt with. Communication process – how to contact other members, and when that’s appropriate; how they themselves will be contacted. Vision, mission, and guiding principles of the organization or commission. Overview of organizational finances and budget. Any legal issues they might encounter. Board policies for confidentiality, dealing with the media, ethics, etc. If relevant, understanding funding/contracting procedures; becoming familiar with current grants and contracts. Depending on your philosophy of board membership, many new adult members may need this type of training, too. If that’s the case – or perhaps even if it’s not – you can avoid singling youth members out by simply providing the training for all new board members, not just youth. This training doesn’t have to be overwhelming – no one picks up everything on the first hearing in any case – but it should be thorough enough to give new members the confidence to take part in discussion without feeling that they’re about to make fools of themselves. They’ll probably be hesitant at first anyway, as most people are in new situations. They should know that it’s all right to hang back for the first two or three meetings until they understand how things work, and get a better sense of the flow and content of the board’s operation. Establish a formal or informal mentor program. Mentors act as resources for young members, providing information, shepherding them through new processes, and introducing them to other board members and people they should know. As with training, adult board members may also need mentoring. Some boards assign each new board member a mentor as a matter of course. 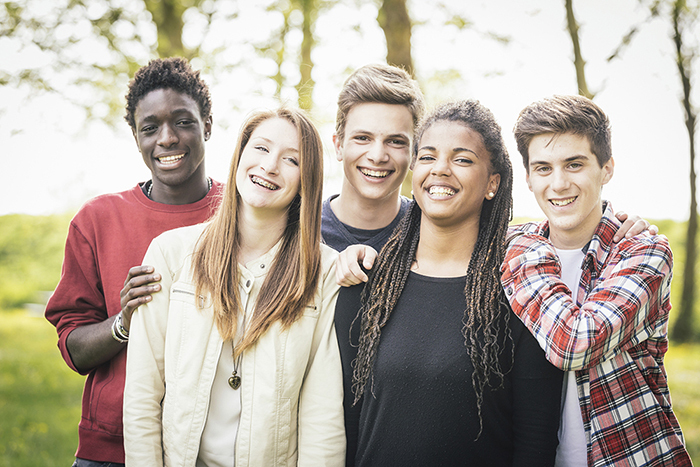 If you use a mentoring program for youth members, try to match personalities. Mentoring will be much more effective if the people involved get along. Don’t forget that mentors may need training and support as well. Mentoring training could become part of your regular board training, and would give experienced youth board members a chance to act as mentors. Welcome youth board members. Individual board members should seek out youth members and establish relationships, just as they would with any new board member. Include them in board and outside functions. For youth, this is doubly important, because it clearly sends the message that they’re being treated as equals, which will make it easier for them to feel comfortable and to participate. Help youth members understand and participate in the functioning of the board. All members should work to make sure that youth members know the background of what’s being discussed, and should try to make them comfortable, so they can participate without self-consciousness. If a youth member makes a serious mistake or does something that he doesn’t realize is inappropriate or counterproductive, don’t jump on it in public. Rather, speak to him about it in private, explaining exactly why it was a problem. Emphasize that everyone can make those kinds of mistakes, and suggest ways to avoid them in the future. The tone should always be supportive, and based on the assumption that the error wasn’t intentional, and that the youth wants to learn how to work well with the rest of the board. Help youth members arrange transportation to and from meetings. Often, they can ride with other board members who live in the same area. Be willing to rearrange board schedules to make it possible for youth to attend meetings. Obviously, this won’t work if it makes it impossible for others to attend. One criterion for youth membership might be whether candidates’ schedules mesh reasonably well with those of the board. Starting in the recruitment process, the board or committee chair can inform parents about why the board is recruiting their teenager, what her responsibilities will be, and what to expect as a result. Young members should be given the same responsibilities as other board members. They should be asked to join one or more committees where they can use their skills and knowledge. As they become more comfortable with board work, and if they have the willingness and ability, they might be asked to co-chair or chair a committee, or to become a board officer. Their opportunities for responsibility should increase as their capacity increases. Not all adult board members have the desire or the ability to be committee or board officers, and there’s no reason that all youth will, either. You have to judge each individual separately. One concern with youth, however, is to make sure that those who can take on increased responsibility also have the time. Competent kids are often over-scheduled, and it may be harder for them to say no than it is for adults in the same circumstances. Make sure that you and everyone else on your board/committee takes youth board members seriously. Once they’ve gotten up to speed on the basics, they should be regarded in the same way as any other board member, not as “the kid.” The chair or another board member should take board members to task (in private) if they don’t follow this practice. By the same token, teens need to be held accountable to the same extent as any other board member. They need to attend meetings regularly, to do the board work they agree to, and to contribute according to their ability. If they aren’t able or willing to discharge their responsibility, they should be treated as other members would be. You should find out why; they should, if it’s possible, be offered assistance and an opportunity to change the situation; and if that doesn’t happen, they should be asked to resign. Equality, if it means anything, should work both ways. Get feedback from both youth members and others about their experience on the board. This could be done in a survey, in face-to-face interviews, or in discussion. A full-board discussion at the end of the process would probably help to get agreement on changes and adjustments that need to made. Were they made to feel comfortable and welcome? Were they treated as equals? What did they initially hope to get or accomplish by being on the board? Were those hopes fulfilled? Did they feel they were able to contribute? In what ways? What have been the biggest challenges? Could some of them have been prevented? How? What would they change to improve the experience? How would they rate their overall experience? What would they suggest to future youth members and to the board to make youth membership easier and more rewarding for everyone concerned? What was their initial attitude toward including youth on the board? If their attitude now is different, why? What did they hope the board would accomplish by including youth? Were those hopes fulfilled? How did they see young members’ contributions? Did they add something the board would have lacked otherwise? If so, what? What did they learn from having young people on the board? How would they rate the experience of including youth on the board? What advice would they give to adult and youth board members in the future? Use what you’ve found out from your evaluation to change whatever needs changing to make including youth a more positive experience all around Improving your recruitment, using young people’s talents better, building more on personal relationships, providing better support – whatever you can do to make the transition to productive board membership will bring a big payoff to both you and the youth who become part of your board. The best indication of success is that, by the end of a year or so, the teen members of your board are simply viewed – by themselves and everyone else – as board members. If that’s the case, you’ll know that both you and they have done your jobs well. For many nonprofit and public boards of directors, commissions and committees, especially those concerned with or directly serving youth, including youth members can be extremely valuable. By the same token, there are many young people whose idealism and desire to be of service, as well as their competence and willingness to assume responsibility, make them ideal board members. Combine these considerations with the advantages of multi-sector, diverse, and participatory community groups, and it would seem that including youth is an opportunity that many, if not most boards, commissions, and committees can’t afford to pass up. Boards offer youth responsibility, leadership training, and the opportunity to make a significant contribution to the community. Teens, in turn, can bring boards enthusiasm, energy, fresh ideas, and a realistic perspective on community youth and youth-related issues. Particularly for boards that deal with young people, incorporating youth members is a win-win situation. The Association of Alaska School Boards (AASB). Alaska ICE, the Initiative for Community Engagement. An initiative of AASB, AlaskaICE works to include youth in the civic life of Alaska communities. Youth on Board: Why and How to Involve Young People in Organizational Decision-Making is a booklet produced in collaboration with BoardSource as a quick reference on involving young people in decision-making. Great for providing introductory information to boards and committees to help them decide if this is the right route for their organization. Youth-led Participatory Action Research is an innovative approach to positive youth and community development based in social justice principles in which young people are trained to conduct systematic research to improve their lives, their communities, and the institutions intended to serve them. Hans, B. (2000). The Power of an Untapped Resource: Exploring Youth Representation on Your Board or Committee. (edited) Alaska ICE, the Initiative for Community Engagement of the Association of Alaska School Boards and the Alaska Department of Health and Social Services: Anchorage, 2000. Also available in pdf form from the Association of Alaska School Boards website.